Timed, repeated readings with feedback are one of the best ways to improve students’ reading fluency. Repeated reading is just what it sounds like–the student is rereading the same passage multiple times. The number of times depends on the situation, but 3-4 times is a good average. The student is timed reading aloud for 1 minute. The teacher notes each mistake (it’s helpful if the teacher has her own copy of the text for this reason) and counts the total words read in 1 minute. The errors are subtracted from that total leaving the score how many words correct per minute (WCPM). Then the teacher gives the student specific feedback about his/her reading or comprehension. It might be a fluency skill (reading to the punctuation before pausing), it might be a rate skill (try and get 5 more words correct per minute), or it can be related to comprehension (find out why the character’s feelings change). Feedback gives students a goal to work toward during subsequent readings, so the additional practice is purposeful and not mindless drill. The rereading and rating/feedback process continues until the student has reached his/her goal (a specific level of accuracy, rate, understanding, etc.) or until the student has read the text 5 or 6 times. At that point, the student has gotten everything he/she can out of that text and it’s more beneficial to move to a different passage. There’s some debate about whether the student’s first reading of the passage should be done silently without timing so that with the first timed reading they have some background understanding of the text (hot read) or whether you should hand them a paper and tell them to start (cold read). For the purposes of assessment, a cold reading might be helpful. That way you get a clear idea of a student’s real words-per-minute skills. For the purposes of practice, in my opinion, the first reading should be hot. If I’m going to track WCPM for multiple readings, I want the process to be similar on all the reads. For the second, third, and fourth readings, the student is already familiar with the text. To be able to compare all the scores, I want the first reading to have the same advantages. Don’t make the mistake of replacing your reading instruction with fluency practice. Students grow in fluency as they learn the skills of successful readers. Repeated readings are a means to accelerate that process, but they are not enough to drive it. Keep teaching reading! Don’t make the mistake of focusing solely on rate. Fluency is more than speed, and reading is more than fluency. Students need to know that. Keep the importance of fluency in perspective and make sure that students aren’t always working toward rate goals. Help them develop expression, phrasing, and accuracy as well. Don’t make the mistake of forgetting comprehension. The reason we want to increase fluency is to aid comprehension. Make sure your students recognize that they’re supposed to be thinking about what they’re reading and not just racing through it to get a higher score. Reading fluency doesn’t improve if students are practicing with difficult passages. Fluency passages must be on a student’s independent level (not their instructional level). Once you know students’ levels, you can collect passages for them to work with. In this post, we outline the hallmarks of a quality reading passage. I send each student home with a passage on Monday. Most of my kids get the same passage, but I differentiate for my highest and lowest readers. (You can differentiate for each individual reader if you have the time/patience!) Students read the same text for 4 days. 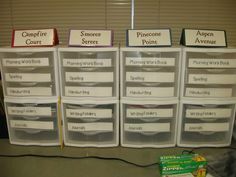 For the lower reading levels (A-D, kindergarten and part of 1st grade) students color a box after each complete reading. It’s not appropriate to time them at this stage in their development. Starting on Level E, they’re timed reading for 1 minute and parents find their WCPM. The key to making this assignment effective is to provide parent support. Parents need to know how to give feedback. Each week’s assignment has tips for how parents can make the most of the homework. Some of it is general information on how to do the assignment or why reading fluency is important. Some of the tips are related to that week’s particular story. For example, how to read dialogue or how to give a character a unique voice. Like the questions, the tips are related to the text. Organization tip: make a stack of copies ahead of time for each level and store them in file folders. When it’s time to send home practice, use a check list to quickly pull fluency pages from your files. Is it leveled? It is leveled according to Guided Reading level. You will find the leveling in formation in the top corner. Estimated DRA and Lexile details are also included. Does it introduce a variety of genres? Starting at Level E, the texts alternate between fiction and nonfiction. The concepts in the fiction and nonfiction passages are related. Starting in Level G, all the stories in a set (4 weeks of passages) are related. 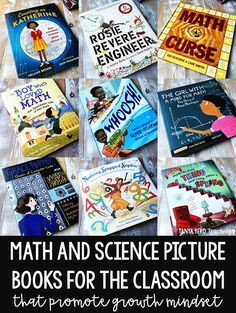 Genres include: realistic fiction, simple fantasy (talking animals), how-to texts, fables, informational…as we add more advanced levels the range of genres will grow. Does it foster comprehension? For every reading, students are given a comprehension focus as a purpose for reading. They then read the text and use that focus to answer the day’s questions. After the first read, students are asked questions about general understandings and details. On day two, they’re focusing on the author’s craft, vocabulary, comparing and contrasting–deeper thinking skills. By day three, they’re asked to infer a character’s feelings based on his actions or analyze how text features help the reader gain more information. The end of the week has students do something with their new understanding. Maybe they’re asked to support an opinion or maybe they’re asked to clarify information about a topic. The questions for each week depend on that week’s text–no two assignments have the same questions. I worked hard to ensure that the passages were of a quality that make them worth rereading. Instead of writing “All About Polar Bears,” I took an aspect of polar bears–where they live–and connected it to a larger idea: why they can’t meet penguins. Instead of a passage about what ocean animals eat, I wrote about the relationship between giant blue whales and tiny krill and then asked students to connect that theme to the fable of The Lion and the Mouse. Illustrating has pushed me to the edge of my meager drawing abilities. I have had to draw so many random things: a panda’s jaw line, bread holes, a grasshopper egg pod, a salamander with a worm…But it was important to me that the stories have illustrations. We teach beginning readers to use picture cues, so there needed to be picture cues available. Illustrations support understanding. As readers advance, they learn how pictures can teach and clarify information. I worked really hard to make sure our illustrations did that. We include maps, diagrams, cutaways, captions, and labels. The passages grow increasingly complex so that as students advance, the pictures become less important to comprehending the passage and the text carries more of that weight. Second Grade has another 36 weeks of practice (this image says coming soon but it is now complete! ): 4 weeks each of levels E-M. The E-I levels in second are different than those in First. While there is some overlap of levels in each pack, all passages and practice pages are unique. Click here to download a sampler of Second Grade Fluency Homework. Third Grade Fluency Homework – growing bundle! Third Grade will grow to another 36 weeks of practice: 4 weeks each of levels J-M, 8 weeks of Levels N and O, and 4 weeks of Level P. The J-M passages in third grade bundle are different than those in the second grade bundle. While there is some overlap of levels in each pack, all passages and practice pages are unique. Thank you for such a thoughtful and helpful post! I’ve used your second grade fluency passages for the past two years and love them! They’ve been the perfect tool for giving my kiddos that extra boost at home and have helped me educate my parents on the importance of reading fluently. I’ve seen tremendous growth in my students’ fluency and I credit that to not only my work with them at school but to focusing attention on reading fluency at home and getting my parents on board. I’m really excited to start using the leveled passages you mention in your post and for my really high readers I’m crossing my fingers that you’ll make a set for 3rd grade! Thank you, thank you, thank you for all your hard work! It has been tremendously effective and beneficial to my students! I really want to focus on fluency this year. I have purchased your second grade fluency homework. About how much time do you think it would take to complete each night? I’m trying to stay within the 20 minutes. I’ve always assigned 10 minutes of reading which they logged. So I’m thinking do I use the fluency homework in place of that or add it? I also give a math page as a follow up to the lesson we did that day and some spelling. If students are working on an independent level, the fluency should take 5 minutes or less. I always assigned our half-sheet homework and fluency every day Monday-Thursday. That was 10 minutes or less of homework. I also assigned 20 minutes of reading, but didn’t count that in the homework minutes because they should be doing that any way. I bought the second grade fluency and I love it! It’s such high quality work here. I give these out as weekly homework and I have noticed a huge improvement in the students fluency. I also love the parent tips. PLEASE make the third grade ones soon! 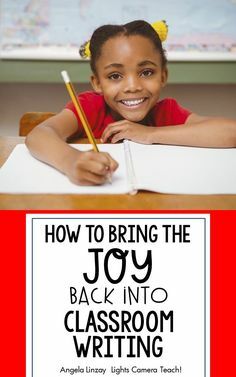 I have lots of kids that need it this year. 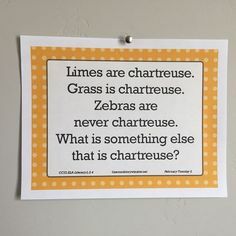 My daughter’s second grade teacher uses these and I absolutely love them! You are amazing. Thanks for the wonderful resources. I promise we’re working as hard as we we can, but writing high-quality passages is a very slow process.